The mass murder of Jews in the Holocaust under the Nazi German rule had its roots in the long history of European anti-Semitism. For example, in 1475, a “ritual murder” happened in Trento, Italy: A boy named Simon was found dead, and the few Jewish families living there were framed for it and tortured by the religious-political leaders. They were forced to confess that they killed Simon to fulfill their ritual requirements, and as a result were either executed or incarcerated. Though the Roman Curia was suspicious of the authenticity of this “blood libel” case as we call it now, for various reasons, Little Simon was canonized as a Saint nonetheless. Only in 1965, after almost 500 years, was Simon removed from the Roman Martyology by Pope John Paul VI. And Little Simon was not the only blood libel case during all those years. Throughout the history of Europe, the Jewish people were negatively portrayed and persecuted since the time of Jesus’ death, in Shakespeare’s The Merchant of Venice, Martin Luther’s On the Jews and Their Lies, the Spanish Inquisition, the Black Death, the Crusades, to name a few. Being a foreign minority in Europe, the Jews became a convenient scapegoat of the power and people whenever problems arose. Sadly, these racial discrimination incidents were accepted, supported, or even initiated by “Christians”. It was a popular value back then and considered by many to be part of the “Christian faith”, with prominent and influential religious and political leaders supporting it. 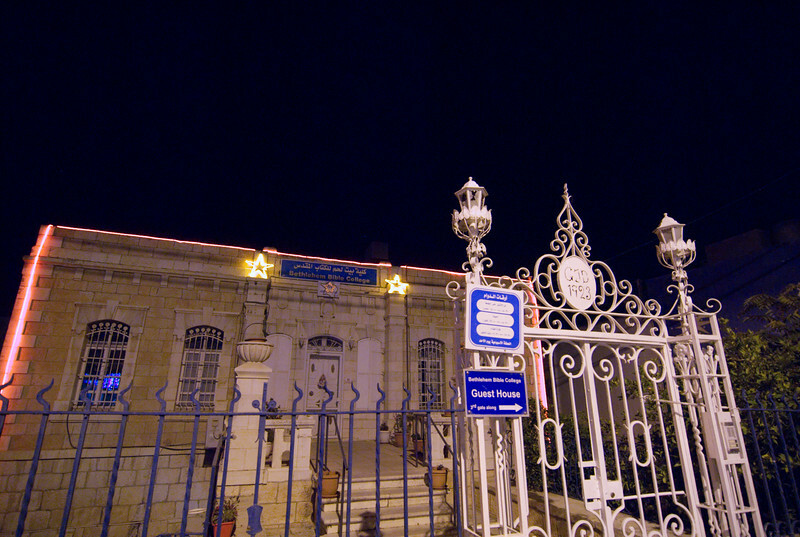 The anti-Semitism among European Christian countries, being an example of “expressions of faith”, contributed to the founding of the State of Israel as it caused the Jewish diaspora felt unwelcome and fearful in their places of residence. Unfortunately, it is a notorious example. 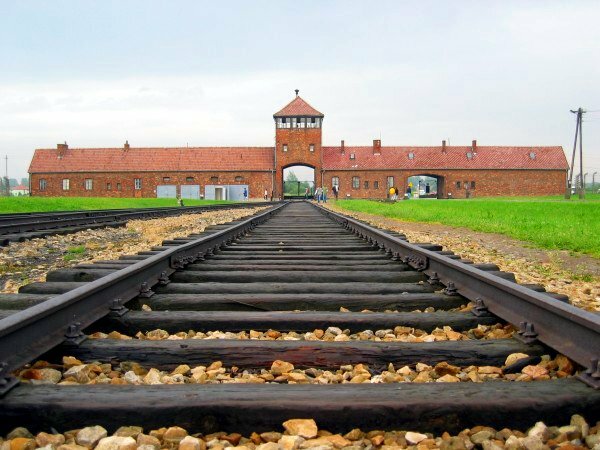 When faith or the Bible is abused or misused, the result could be disastrous: 6 of the 17 million killed in the Nazi Holocaust were Jews, meaning that only one out of every four European Jews survived. Nevertheless, it was not the only negative example of “expressions of faith” in the Christian history related to the Jewish people. Around the end of the 18th and the beginning of the 19th century, a Christian ideology began to emerge in Great Britain: The Jews should return to the land God promised to Abraham in order to fulfill Biblical prophecies. Though the Jews at the time were skeptical or even hostile to this idea, the proponents of this ideology, then named Christian Zionism, succeeded in “expressing their faith”. The movement prospered, they even have their own reference Bible, and theologians who developed it into a fairly complete and comprehensive theology called dispensationalism, which gained considerable popularity in the British and American churches. 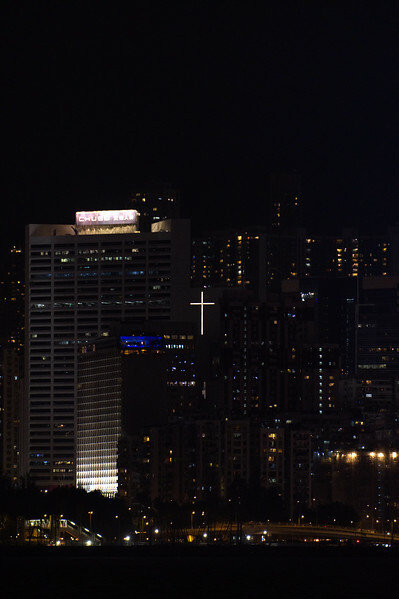 Consequently, in many Hong Kong churches who’re influenced by their British and American counterparts, it was and still is treated as a Biblical truth and proclaimed on the pulpits. Christian Zionism encouraged and supported the rise of secular Zionism, and was influential in shaping the policies of the British government who controlled Palestine after the first World War. A large number of Jews, escaping from European anti-Semitism, emigrated to Palestine legally or illegally. After the second World War, with the knowledge of the horrific Holocaust became known to the world, the modern State of Israel was established in Palestine in 1948. However, what would be a positive historical event for the persecuted European Jews turned out to be a disaster for the seventy to eighty thousands indigenous Arabs who were driven away from their homes. Later on, Christian Zionism continued to gain ground among the American evangelicals, who with the Jewish lobby influenced the US government, by its actions or inactions, into prolonging this contemporary tragedy and protracting the Israeli-Palestinian issue. As such, because of the “faith” expressed by the Christian Zionists, another tragedy related to the Jewish people was produced, causing the Arabs and the Jews fighting each other time and again in the past century amid tense relationship. Nevertheless, there were also beautiful Christian testimonies during these tumultuous times in “the land flowing with milk and honey”. Today in Bethlehem, not far from the separation wall, and opposite the Azza refugee camp lies the Bethlehem Bible College which has served the local community faithfully in the past decades. One Arab Christian woman, who demonstrated in utmost difficulties that “expressions of faith” can build up oneself and others, was catalyst in the founding of this institution. This lady who was born in Palestine at the end of the first World War has lived through the tearful contemporary Palestinian history: Her father passed away when she was seven, leaving her mother to raise her and her two little brothers by herself. She married at the age of 21 and gave birth to 8 children, of which 7 became grown-ups. Unfortunately, only after 11 years of blissful time, her husband was innocently killed in Jerusalem when the first Arab-Israeli war broke out in 1948. What could a woman do in such a situation? Unlike today’s Hong Kong, women there did not have much social standings and protection. The elderly among us may have some ideas, because many of our parents or grandparents were refugees from other parts of mainland China. They have experienced wars or the Japanese occupation of Hong Kong, and so may be more sympathetic to this woman. Also because of these experiences, their deep wish for a peaceful society is sometimes not easy for the younger generations to understand. Similarly, those who have faced the Cultural Revolution or the leftist riots of 1967 may also have a very different perspective on the stability of Hong Kong from the youth. Thankfully, this woman did not give up. The widow who has lost her home strove to raise her 7 children, all the while studying at the same time to become a nurse herself. In the next two decades, she travelled and worked at different hospitals in the Holy Land, treating and helping the sick. In 1967, when the Six-Day War broke out, she once again caught up in war, this time in Bethlehem. Amid all difficulties, she insisted to look forward and refused to be seized by pains and revenge. She overcame the challenges of life with her obedience and faith in the Lord, and left behind a beautiful testimony. Her admirable example also rubbed off on her children, one of them became the founder of the Bethlehem Bible College, another established a non-violent study centre. And yet another one, after becoming a US citizen, chose to return to his birthplace to serve. He also recorded his mother’s touching story in a book, capturing not only their familial story but also their fellow people’s story. Truly, to those who strive to follow Jesus diligently and wholeheartedly, faith is not something that would only be expressed on Sundays. Instead, it should be incorporated into our daily lives. In other words, our faith should be our reality. In fact, it could be even larger than the realities we can normally experience, just like we believe Jesus has resurrected and overcame Death. The question is, when believing individuals and communities express their “faith”, what kind of “faith” is it? Is it based on hatred, with which the churches in the past persecuted the Jews? Is it based on a biased and selective reading of the Bible to support one’s ideology, like the supporters of Christian Zionism and dispensationalism? Or, is it like the woman mentioned above, who faced the challenges realities brought upon her with faith, hope, and love, and be a faithful witness to the Lord? The Hong Kong churches which grew up under the British colonial government have not faced much difficulties nor oppression. Instead, they were supported and nourished by the authorities. And so, churches and believers in Hong Kong tend to be simple-minded in some aspects, and take certain things for granted. However, when these “certain things” have changed, they became paralysed, or keep trying to understand the present situation using past experiences, even when the underlying facts have become fundamentally different, leading to wrong judgements. As such, the Christian community in Hong Kong has a pressing need to re-think her own place in the society, and to find a proper balance acceptable to the Lord on how to engage the secular world, not manipulated nor controlled by any ideology, earthly power or action strategy. In the blink of an eye, the State of Israel has “taken back” Judea and Samaria, or, the Palestinians’ West Bank has “become occupied” for 50 years already. From a secular point of view, it’s quite inconceivable that the Arab-Israeli or the Israeli-Palestinian conflict would ever end. However, friends and enemies on earth, or even country boundaries and social systems, are things that may change over time or because of varying interests. More importantly, since our Lord has come and broken down hostility, we shall follow Him and become peacemakers ourselves, and bear in mind that, in Him, all things are possible. On the other hand, believers and churches should be careful not to substitute God’s Justice and Love with one’s own rules or confined perspectives, becoming hypocritical Pharisees. Nor should we replace spiritual convictions with earthly things that are made, becoming idolaters. And neither should we ignore societal matters concerning justice and people’s livelihood for our own safety or profit, or even worse, to swear black is white, shifted from the Gospels and damaging our testimonies. Hong Kong has changed hands for 20 years already, where are we now? And what will become of it in 30 years? How will the believers and churches in this land express their faith in the coming days? Is the foundation of our faith strong enough, so that we can change the world for the better, instead of being encroached by the daily difficulties? What will be the testimonies each of us and the whole community bear to the society? Which societal issues will we concern ourselves with? Can we walk with Christ in Justice, Charity and Peace on this road which may not always be wide and easy? Can we under the guidance of the Lord respond to the need of our times, to become salt of the earth and light of the world? Can we fellowship with our brothers and sisters in Christ who have different opinions with tolerance and patience? Can we once again receive humbly the Lord’s visions, be renewed and poured on by the Holy Spirit, and continue to turn the world upside down with Jesus’ love? 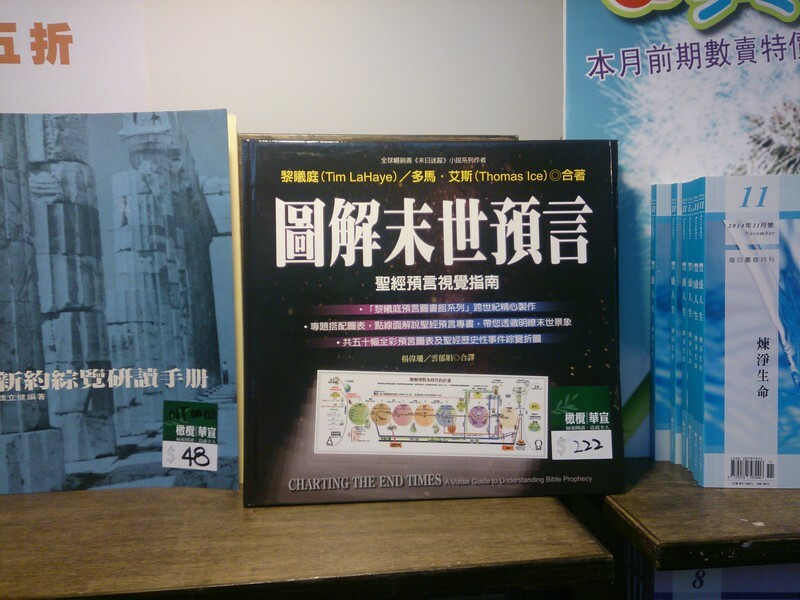 Adapted from the sharing for Palestinian Memories (Chinese Edition) in the 2017 Hong Kong Book Fair. Also available in traditional Chinese and simplified Chinese on Christian Times (behind a paywall).